How I have devotions – Open Our Eyes, Lord! Part of my traditional New England upbringing was to learn to maintain boundaries between private issues, family matters, and public information. When I asked my parents what they were talking about, at times I heard, “Well, it doesn’t concern you.” Nothing gruff, like “it’s none of your business,” no “you wouldn’t understand.” Just, “if you needed to know, we’d tell you.” It’s the polar opposite to the tell-all autobiography, the Kardashian, Povichian culture in which we daily bathe. That probably explains my reticence about sharing the details of my private devotional life. Nevertheless, I’ve been learning that to teach others to pray is one must provide an example. Much of what I know about prayer has been by listening to older believers as they approach God (this teaching method is sometimes called mimesis). 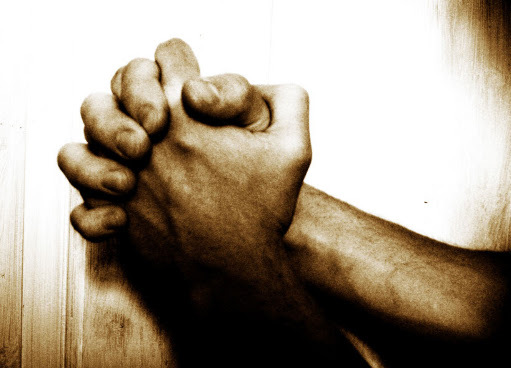 So, if I blog or teach, I’m not just to communicate “doctrine” but also demonstrate prayer. I go to devotions repeating to myself, “There is nothing remotely more pressing on my agenda than what I’m about to do.” Not preaching, not teaching, not writing. I have a “Devotions in Progress” sign for my door; I’m talking with the King of the Universe, for goodness’ sake. Whenever one opens the Bible, it is with the Spirit working through the heart and the mind, at the same time: There is no such thing as “devotional” Bible study that neglects careful reading in context. There is no true Bible study that doesn’t include meditating on its meaning for life. I usually put all of my reading time into the Bible rather than devotional books. Occasionally I’ll add on Spurgeon’s Morning and Evening, but other books (Bonhoeffer’s Cost of Discipleship, for example) are not for devotional time per se but for later. Sometimes my Bible reading includes a psalm or a New Testament reading in the original languages, but only if it doesn’t become a distraction. Meditation is meditation on God’s truth. Good meditation also requires a quieted mind, but not an emptied one. Nor is yoga Biblical meditation. Prayer must include at the least praise, confession of sin and repentance, petition for God to intervene in specific ways, and grateful thanks for what he has done. Reading and praying aloud is more suitable than doing it all in one’s head: that’s a long-standing tradition, and educational specialists are now beginning to confirm that what we say aloud “sticks” better. I have no firm opinion on this, but with regard to technology: having devotions on my laptop is a distraction; having them with my iPad is a completely positive experience. A principle might be: If you have devotions with computer, smart phone or iPod, will you say “excuse me” to God and answer some random text or Tweet? Then I suggest you find another way to have devotions. Some Christians turn off all technology. If I miss a day? I tell God I’m sorry; I salvage what can be salvaged for today; and get myself ready for our next time together. And finally: although I regard a solid daily devotional time as a crucial for my ministry – the most important thing I can do for my students –, I would like to think that I would do the same if I were not in Christian work. I’m at a stage of my life where we don’t have small children to draw our attention; nevertheless, this is similar to plans I’ve followed in other years. Morning. I spend between 30-60 minutes (usually around 45) in prayer and Bible reading. Bible study: Because I hadn’t done it for a while, this year I’m following a “Bible in One Year” program that I really like; it involves 3-4 chapters a day. I try to slow down and if it’s possible read aloud in order to keep myself paced. Prayer: I maintain a prayer log on an iPad app (see below), where I write down the names of all my students, my co-workers, family members, unsaved people, ministries that Karen and I are involved in, specific requests for ESEPA, issues of my own spiritual walk, etc. I keep a running list of specific requests about my own heart, mind and soul. I keep another diary where I write down what I’ve read, commented on my prayers and write down other lessons of the day. Besides requests which I’ve put in a calendar, I pray for other things which the Spirit brings to mind. My written list is the minimum, not the total, of what I’ll pray for. During the day. I try to pray at random times, and in particular before doing new tasks and also at mid-day. Evening. This additional devotion time happens maybe 5 times a week, when I spend another period of time in prayer and the reading of Psalms, perhaps for 30 minutes. In the evening I read less Scripture, but read it deeply and repeatedly: first, going through it to gain its general meaning in context; then meditating on its meaning for me, asking the Spirit to guide me as I read slowly; then using the text as the basis for prayer. Some people use the term Lectio Divina, while others argue (wrongly, I believe) that LD is per se a “New Age practice.” What I do isn’t New Age by any stretch, so let’s call it “meditative Bible reading.” If my Bible reading is faster-paced in the morning, it’s quieter and more reflective in the evening. I believe both methods are valid. What else can I tell you? Probably the most interesting point is that, despite a Baptist background that doesn’t use much liturgy, I have used the Book of Common Prayer for the last decade (sometimes the version by the Reformed Episcopal Church). I also use the wonderful collection of Puritan prayers called The Valley of Vision – that might help my Reformed comrades to accept the usefulness of written prayers. Many believe that prayer which is spontaneous and unplanned is more authentic or more likely to be Spirit-led. This has certainly not been my experience, nor am I convinced by Scripture that if we pray with no agenda the Spirit will infallibly guide us to pray right. By following a guideline, I’m pushed more deeply in prayer. For example, when a person confesses sin, it tends to run, “Now, what did I do wrong today?” The BCP disciplines me to remember before God, “We have not loved you with our whole heart; we have not loved our neighbor as ourselves.” That puts “sin” on a whole other level of nuance, in the category of “things we have left undone.” It’s relatively easy to say “I have no known sins on my conscience”; it is impossible to say: “Today I have loved God as I should.” The BCP also reminds me to pray for missions, people in government, the unemployed, the people in prison, for addicts, for world peace, you name it. That is a general description. I hardly regard it as the Gold Standard for devotions; I have friends who spend far more time in prayer than I do. But it is what we’ve put together for 2012, and I’m highly blessed by what I receive, the biblical instruction and the intimacy it helps create with God. Read through the Bible: some years I read a short passage every day, some years I read through the whole Bible. This is the cleverest Bible in a Year Program I’ve ever encountered: “Bible Reading Program for Slackers & Shirkers.” It assumes you will occasionally miss a day, so it has a built-in safeguard against getting discouraged. I’ve tweaked it a little for myself (See http://ransomfellowship.org/articledetail.asp?AID=378&B=Margie%20Haack&TID=7). Book of Common Prayer: for many years I have used Mission St. Clare’s program. This is a Protestant website. You click on the day in the calendar, and it provides prayers, Bible readings, hymns complete with words and music. Go to http://www.missionstclare.com/english/, click on Rite II and Calendar on the left-hand side. A collection of prayers by Puritans: The Valley of Vision, ed. Arthur G. Bennett (http://www.amazon.com/Valley-Vision-collection-Puritan-Devotions/dp/0851512283/ref=sr_1_1?ie=UTF8&qid=1329943055&sr=8-1). Also available from Amazon in leather-bound for a good price. There is a companion website that I thought was helpful, called Walking through the Valley of Vision (http://www.joethorn.net/valley/). By the way, I would not recommend the similarly-themed book A Treasury of Prayers by Fortosis. Journal. I use the nice and simple My Daily Journal app to write down when I had devotions, what I read, how I prayed, what I learned. Online Hymns. There are several sites; the one I like is The Cyber Hymnal at http://www.hymntime.com/tch/ It gives lyrics and plays the music. Pingback: How do you pick out a thank-you gift for Someone who has everything? | Open Our Eyes, Lord! Great post Gary! I know it was hard for your New England sensibilities to do but thanks for giving me a window into your devotional life. It has given me some ideas to improve the time I spend alone with God every day. As always, great to see you Brent! I think you captured the spirit of what I was trying to say, which was certainly not that “My devotion is better than yours.” See you. Really good point, and thanks for all of them. Some years back, I started what I call the prospector’s Bible study. I realized that if I’m looking for something, I’m more likely to find it than if I just read the text. I have a list of subjects that I’m interested in; like end of OT law, or letter of the law/ spirit of the law, or free will. I read the list over just before reading scripture, and with pen and paper take notes. I find more this way. Dear Jim, good to hear from you! I like the fact that you are “intentional” in your study. May I make a further suggestion? That is that, the Bible not only supplies us with answers to our questions; it also tells us what questions we should be asking. Sure, as we study the Bible, naturally we have things we’re looking for – whether we realize we’re doing it or not – but the Bible tells us, no, don’t look for this, look for that. To use your “prospector” imagery: someone might be scouring the Bible looking for silver, and because he is not keeping an eye open for gold, he might be throwing away all those heavy yellow rocks that are not silver. In the specific case of, let’s say, “free will,” I have no doubt that you will find verses. You might miss out, however, on many other verses that couldn’t quite fit in it. If you were to expand your hunt to “verses that have to do with the human will” you’ll find a bunch of things that you might not have expected.